The Catholic Church decided to build the Chapel of the Holy Christ of Miracle to protect the painting. In 1687, an 8.7 earthquake struck Lima and leveled the church except for the wall and the painting again. Moved by the powers of the painting, the villagers had a copy made and paraded it through the streets of Lima as a symbol of healing and protection. 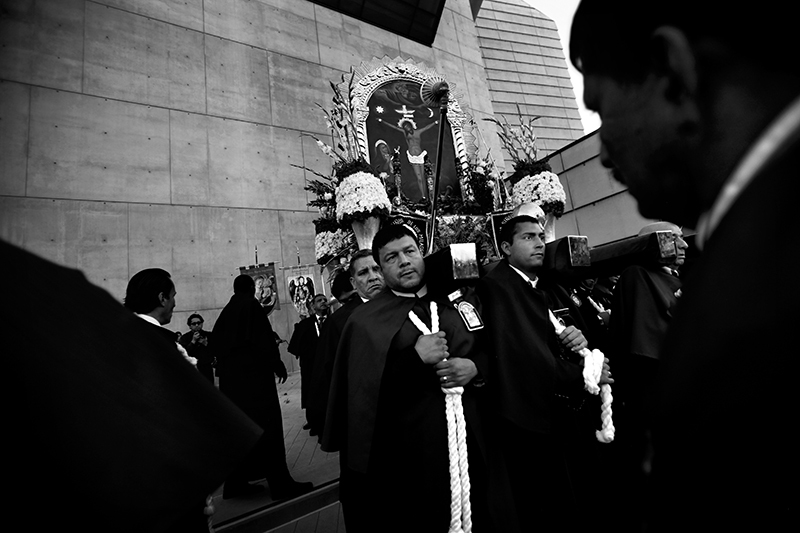 Out of this, in 1878, the Brotherhood of Carriers and Incense Burners of the Lord of Miracles was created, and so began the tradition of celebrating the "Senor de los Milagros" or "Lord of Miracles." In fact, the entire month of October is dedicated annually to honor the Lord of Miracles.